Gain access to a customized, macronutrient calculation for both workout and rest days from a Registered Dietitian, based off your body composition, personal goals, activity level, and caloric needs. This plan is perfect for anyone who is striving to get a better handle on tracking macros, but wants accuracy to help meet their personal goals. Kick start your nutrition with our 4-week “Jumpstart Your Macros” Plan! You’ll receive your macronutrient goals for both workout and rest days along 6 recipes each week to inspire your daily meals and snacks as you design and track them via MyFitnessPal (or other tracking app). Your coach will teach you everything you need to know about how to track macros! The 8-week “Macro Results” Plan is the same as the Jumpstart Your Macros option, but longer in duration for added accountability and motivation. This plan is great for anyone who is eager to track macronutrients and benefit from extended support to stay accountable for a healthier lifestyle. The 12-week “Macro Magic” Plan is the same as the 4- and 8-week options, but longer in duration for added accountability and motivation. The 12-week mark is often where clients typically see the "magic" of macros! For past clients who want to refine their goals with a macronutrient recalculation. This plan includes a 10-minute phone call with a Registered Dietitian to discuss personal goals, address challenges, and recommend changes since first calculation. Questions about macros or how these plans work? Read through our FAQs and watch this video. Additionally, check out our client success stories! Disclaimer: Our macro plans are not medically-prescribed diets. The focus is meal prep education and recipe ideas. Please consult your doctor before adhering to a new diet. Please note: Once a plan is purchased, we can not issue a refund. Thank you for understanding! This is an amazing program that is, not only affordable, but also so valuable. Having the ability to ask questions and get information from a professional was life-changing for me! I am so happy with my results and have so much confidence moving forward! I appreciate that this program values their clients and their results. Thank you for this experience! I have tracked macros in the past, but the CNC Macro Plan took all the guesswork out of it! 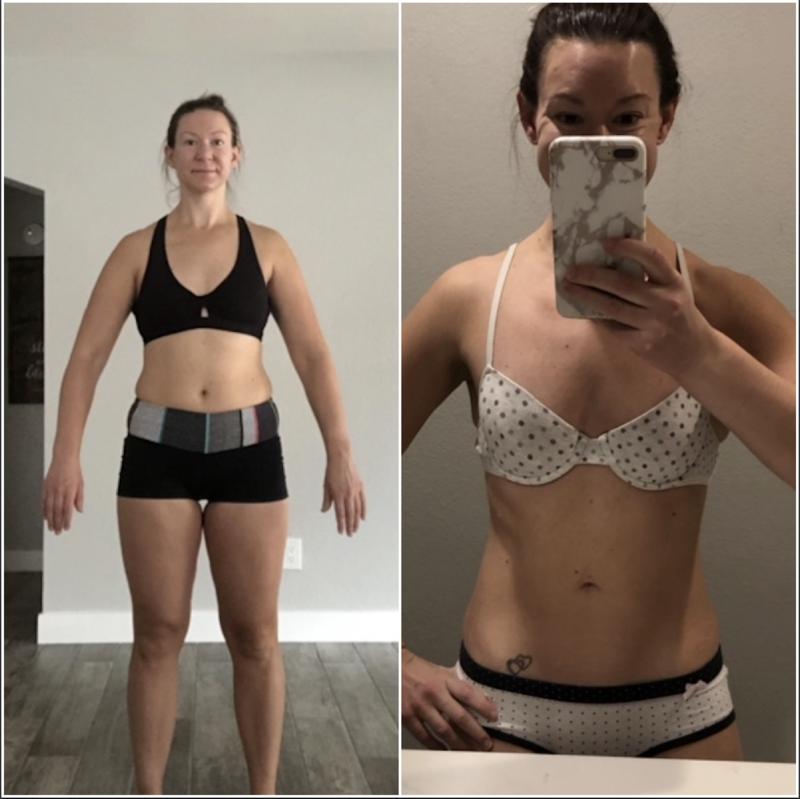 It was invaluable to me to have someone to consult with about my numbers and remind me that I don’t have to hit my macros exactly to see progress! I can already tell that my clothes are fitting a bit differently and, more importantly, I feel like I am making more informed food choices. Having a cookie no longer throws off my whole day – instead it keeps me on track! This plan was just what I needed to get my health in order! In just 4 weeks, I have so much more energy and my clothes are fitting better. I know I will continue tracking because I’m much more aware of my food choices and how to use them as fuel for my body. Thank you so much! This program has been so great! I’ve tracked macros with coaching before, but it was so tedious and strict that I ended up quitting. Tina has been so helpful and always has the best advice. I’m so glad I tried tracking macros again; I realized I just needed the right coach! I was so lost and plateauing until I got connected with you. You’ve really helped me break through, and I’m so thankful! I was so overwhelmed by the macro process and had no idea where to start. Thank you for making it easy! I already see and feel like my body is changing, and it is amazing motivation to keep with it! Thanks so much for kick starting this new way of nourishing my body! 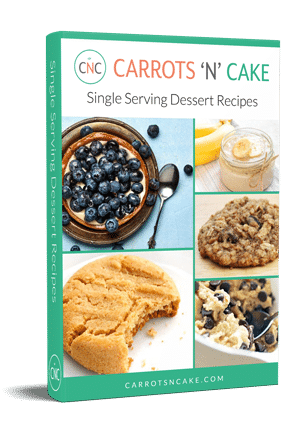 Tina Haupert is a mom, Boston-based lifestyle influencer, and owner of Carrots ‘N’ Cake (CNC) as well as CNC Macro Plans and CNC Macro Meal Plan Subscriptions. 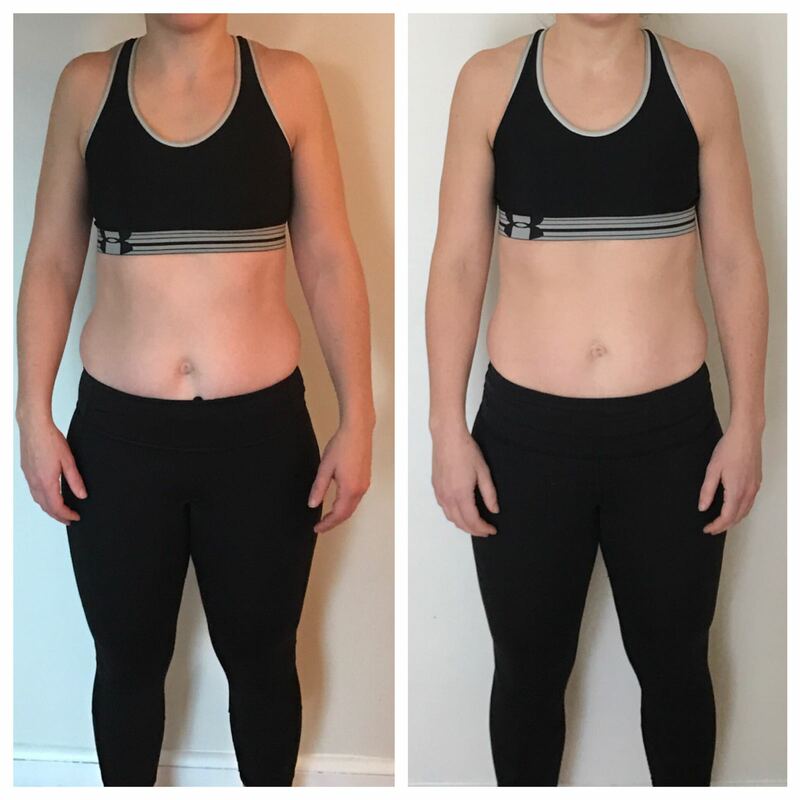 Tina is Precision Nutrition Level 1 Certified, and her passion for food, fitness, and family is fueled by a balanced and realistic approach. While Tina tries to try to pack the most nutrients possible into each meal, she has a number of favorite foods that are not necessarily 'healthy,' but are still delicious and fun to eat (hello, cake). If eaten in moderation, she believes that the 'bad' foods can be part of a well-balanced diet, which is just one of the reasons why she loves tracking macros so much. It’s all about having your carrots and cake, too! After her son was born, Tina quickly realized that she didn't have the same amount of time to devote to her usual healthy habits. But if there's a will, there's a way, and she’s learned how to achieve a healthier lifestyle as a working mom. Nowadays, she enjoys sharing simple yet effective workouts and recipes with her followers. She also loves working one-on-one with nutrition clients to find balance within their diets. Christina Lombardi is a Registered Dietitian Nutritionist and an owner of Elevation Fitness in Babylon, New York. She has her undergraduate degree from Fordham University and a Masters in Nutrition from CUNY School of Public Health at Hunter College. Her background focuses on weight loss and integrative and functional nutrition. Christina has always had a love for food, fitness and nutrition. During her early 20s, she struggled with maintaining a healthy weight, which ultimately lead her to the path to change careers and become a registered dietitian nutritionist. Over the past nine years Christina has devoted her much of her time to studying nutrition and applying her teachings to help clients reach their lifestyle goals. Christina’s food philosophy focuses on whole foods. She has found that once individuals remove artificial foods from their diet, they attain a taste for fresh whole foods and truly enjoy eating them! Christina lives in Long Island, New York with her Husband, and two pups, Pace and Jade. Emma Hammond is the owner of Healthy Balance based out of Savannah, Georgia. After receiving her BS in Psychology in 2014, she decided to utilize her education to help people develop the skills to sustain a healthy lifestyle. 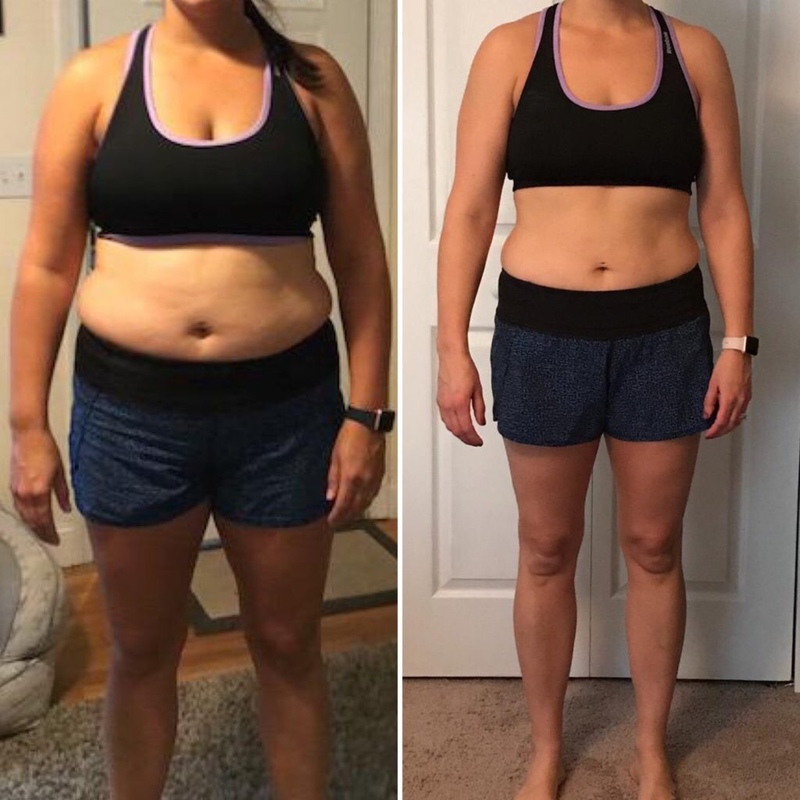 She became a Certified Personal Trainer and Precision Nutrition Level 1 Certification to give her clients a whole picture approach to wellness. Emma’s passion for coaching clients was developed through her own personal journey in the diet and fitness industry. Knowledge is powder, and she knew it was her job to help others navigate their own path to health. She is a big advocate of building a positive relationship with food as it adds to your quality of life. Building healthy habits is what she is most excited to bring to the CNC community! In her free time, Emma enjoys spending time outdoors with her husband and 2 crazy puppies. While she loves eating delicious food, spending too much fuss in the kitchen is not her jam. She loves finding ways to make eating a mostly whole foods diets delicious and practical with a busy schedule. Lauren Creasy is a Registered Dietitian Nutritionist in Austin, Texas. After receiving her degree and internship from University of Texas at Austin she started her career at the global headquarters of Whole Foods Market to work with her passion of food and nutrition. After a few years at WFM, some experience and education in sports nutrition, and a baby boy later, she began working in private practice to help people find their “happy” relationship with food and their bodies. She understands that it is an individual process and has both the personal understanding and professional years of experience to help guide this important piece of life. Lauren is passionate about using balanced and realistic approaches for her clients with food they love. Lauren lives with her husband, 3 year old son and golden retriever. In her free time, she loves to be active outside, find the best happy hours in town and doing creative projects whether it is in the kitchen or with her son.